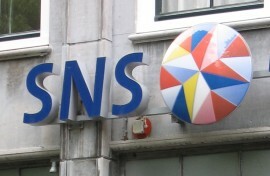 Dutch state-owned bank SNS is to upgrade its treasury and risk infrastructure using services from SunGard. The bank wants to centralise its credit and market risk management, including initial margin and potential future exposure, in view of Basel requirements that oblige banks to adhere to higher standards of record keeping and transparency. SNS was already an existing SunGard treasury customer, but it will now also use the vendor’s market and credit risk applications to create a single framework for all treasury, trading and risk activities, so that the bank can keep its costs down and keep risk management as simple as possible. The bank plans to consolidate all valuations into an intra-day view of risk across the trading and banking book. This should make its risk management more effective. As part of the implementation, the bank’s financial markets division will use SunGard’s hosted and managed services, including data services. Part of the motivation for the project was regulatory change. Risk management has become increasingly important since the financial crisis, as senior bank executives are increasingly being held accountable and regulators are demanding higher levels of transparency from banks, including better data and record keeping abilities and more stringent reporting obligations. At the end of last month, the Basel Committee on Banking Supervision set out new requirements on bank reporting that will take effect from next year. The entire Basel pillar I is currently being re-visited by the authorities, and the bank has estimated that regulatory complexity will only continue to accelerate. “Market standards are increasing in complexity for treasury, trading and risk management, leading banks to steer more accurately and profitably,” added Craig Costigan, president, risk and compliance, SunGard.